When choosing a reliable and trustworthy roofing contractor, don’t just rely on internet reviews and the yellow pages. Turn to a GAF Master Elite™ contractor like Tedrick’s Roofing for better and longer lasting solutions to your roof issues. 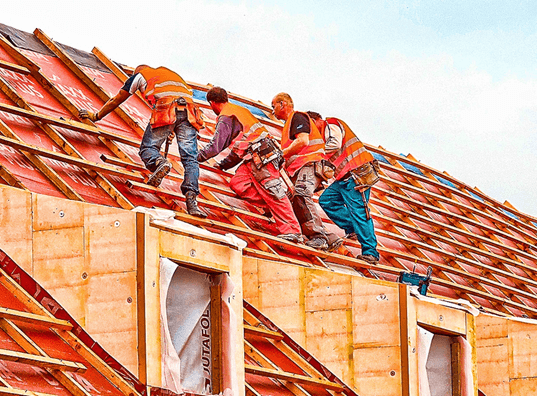 A roofer with this distinction ensures easy and hassle-free roof replacement while also offering a host of other benefits for you and your home. GAF is the leading manufacturer of excellent residential and commercial roofing in North America. When you hire a Master Elite™ class contractor, you’ll have access to a wide selection of advanced quality materials. Whether you choose Timberline®, Lifetime Designer, and TruSlate™ shingles, your Des Moines roofing can help your home maximize its comfort and protection. You’ll also benefit from energy-saving options such as roofing made of recycled materials, reflective or “cool” roof systems, re-cover and garden roofing, and solar roofing products. These ensure that your home maintains a more comfortable indoor environment while also letting you enjoy reduced energy costs. You won’t have to worry about sloppy workmanship when you choose Master Elite™ contractors. They have completed rigorous training and testing, ensuring installation procedures and methods that meet the strict standards set by GAF. Since this brand offers extensive educational materials developed by technical experts, your roofer will also stay current with the latest roofing installation techniques. The roof systems your Master Elite contractor installs are also eligible for special warranties. This includes the Golden Pledge Warranty, which covers both roof materials and workmanship. This also comes with a thorough inspection by a GAF factory-certified inspector, who’ll check if the finished roof is expertly installed. A Master Elite contractor also has the applicable business licenses and insurance that makes them illegible to work on your roof. They’ll practice the right safety measures for your roof repair in Des Moines, as well. GAF sponsors a national training organization, the Center for the Advancement of Roofing Excellence (CARE), that provides educational and safety programs for roofing professionals. Look no further than Tedrick’s Roofing for all your roofing needs. We are the GAF Master Elite™ roofing contractor that homeowners trust for quality roof installation and repair in Des Moines. When you choose us, we’ll make sure that your home improvement project runs smoothly from start to finish. Fill out our online form today for a free estimate.